London ,UK –Kulsoom Nawaz, wife of jailed Pakistan Prime Minister Nawaz Sharif, has regained consciousness but she is still on ventilator, said Sharif's son Hussain Nawaz. Hussain informed that his mother was able to recognise family members and could now communicate with them through gestures. However, she was unable to speak, Samaa TV reported quoting Hussain Nawaz. 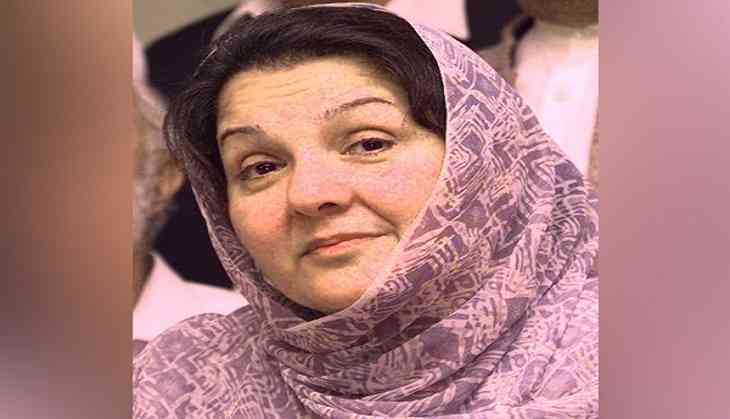 Kulsoom is undergoing treatment for cancer at the Harley Street Clinic in London. On July 13, Hussain announced that his mother opened her eyes after a month-long coma. He requested people to remember his mother in their prayers. Sharif and his daughter Maryam Nawaz were in London to attend to ailing Kulsum Nawaz. However, they had to leave for Pakistan to serve their respective sentences in connection to the Avenfield reference case. On July 6, Sharif and Maryam were convicted in absentia in the Avenfield reference case by the Accountability Court. While the former was given ten years of imprisonment and slapped with a fine of eight million pounds, Maryam was awarded eight years in jail and fined two million pounds.